HD has been involved in Libya since April 2011. It works to create a durable solution to the crisis in Libya, mediating between the most influential stakeholders to reinforce the key national and local institutions that are providing basic services to citizens. In early 2018, the UN Special Representative of the Secretary-General for Libya, Dr Ghassan Salamé, formally requested HD to run the preparatory process of the National Conference, one of the key pillars of the UN Action Plan for Libya. From 5 April 2018 to 11 July 2018, HD implemented an extensive series of public consultations with Libyans from all segments of society, providing them with a unique opportunity to participate in the political debate over the future of their country. On 15 February 2011, major demonstrations erupted throughout Libya seeking the removal of Muammar Al-Qaddafi. They began peacefully but on 17 February, forces loyal to Qaddafi fired on demonstrators, killing hundreds and provoking resignations from some officials in Qaddafi’s own cabinet, several prominent Libyan diplomats and members of the security forces in the eastern region of the country. Following a brutal campaign, which exerted a high toll on both sides, revolutionary forces finally overcame the last bastions of Qaddafi support in Sirte on 20 October. Qaddafi was found and killed while fleeing the city. The Libyan civil war destroyed the already limited state institutions, which needed to be rebuilt from basic levels and also left the country awash with weapons and highly-armed militias. The new authorities did not have the capacity to assert their control over the territory and were unable to ensure security, even in major population centres. Violence since the revolution has been endemic in Libya, whilst insecurity has hindered economic development and added to political instability. In May 2014, Libya entered a new phase of high-intensity conflict following the launch of operation Dignity (Karama) in eastern Libya and the subsequent launch of the Libya Dawn (Fajr Libya) operation in western Libya. These military operations, combined with a political dispute over the July 2014 parliamentary elections, resulted in a de facto split of the country between multiple competing parliaments and governments. The 2015 UN-brokered Libyan Political Agreement (LPA) offered an opportunity to end the political chaos evident since 2014. However key political and military actors objected to it on political grounds, while civilians increasingly felt the new government it created was failing to deliver basic services. In the second half of 2016, faith in LPA dropped as the proposed ‘Government of National Accord’ was rejected by the eastern-based House of Representatives and General Haftar’s forces took control of the so-called ‘oil crescent’ in September. The reaction in western Libya to Haftar’s advance was chaotic. The former Tripoli-based government of Prime Minister Khalifa al-Gweil attempted to reassert its authority in October, and fighting broke out between the various militias in Tripoli in December. 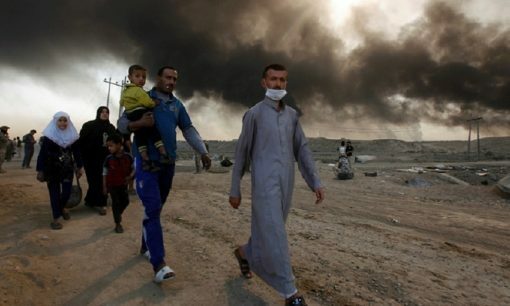 Shortages of electricity and cash are leading to popular discontentment, and the number of conflict-related deaths was rising in the final quarter of the year to levels not seen since 2014. A vote in March 2017 by the Libyan House of Representatives to withdraw from ongoing mediation efforts and explicitly reject the internationally-recognised Presidency Council was a huge blow to the LPA. New military confrontations in the oil-crescent also hinted a further conflict in Libya. The UN-led process has failed to gain traction. 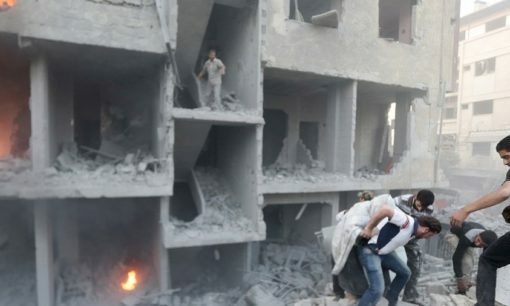 The conflict, as well as UN-led efforts to resolve it, are ongoing. In April 2011, at the height of the conflict between the Qaddafi regime and revolutionary forces in Libya, HD initiated an assessment process to identify possible opportunities for involvement. HD found that deep cracks within Libyan society could potentially represent risks of conflict once the civil war came to an end. As a result, HD decided to support dialogue between Libyan stakeholders. HD’s strategy has centred on addressing national-level conflicts and issues which affect the country’s stability, as well as local conflicts, and the interaction between the two. In 2011, HD held a series of events on some of the key contentious issues in the national transition process. 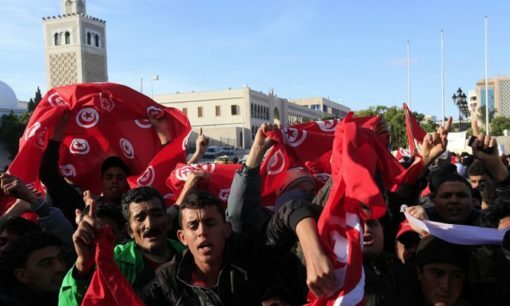 These events were held in key locations across the country, including with representatives of communities and civil society in the east, south and far west of Libya, and culminated in a conference on the Libyan Constitutional Process with over fifty political actors from across Libya. HD held additional rounds of dialogue on the transitional justice process in 2011 and followed up on this work by facilitating dialogue around Libya’s controversial political isolation law, which excludes those associated with the former regime from holding key political and administrative positions. In close co-ordination with the United Nations Support Mission in Libya (UNSMIL), HD also provided technical assistance to Libya’s national dialogue process. This technical assistance initially focused on helping to consolidate Libya’s various national dialogue initiatives and promoting co-ordination between these and other key aspects of the transition process. 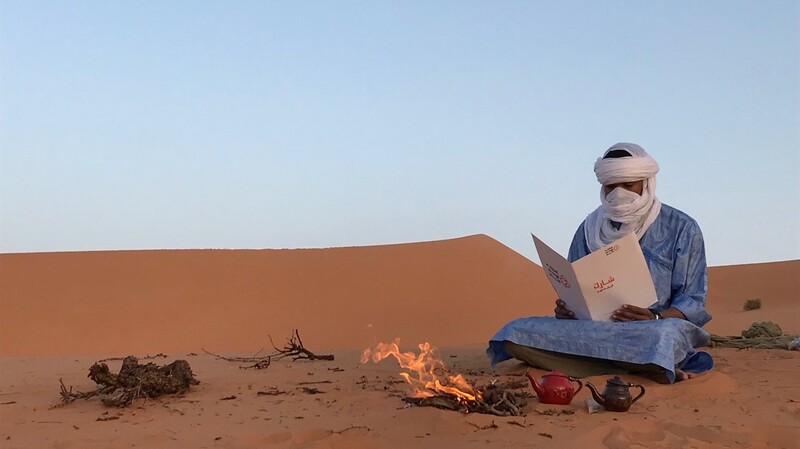 Alongside these activities, HD has developed close contacts with principal groups of Libyan mediators, tribal and religious leaders known as the Hukama (Wise Men) and has worked closely with a select number of active mediators on particular regional conflicts. 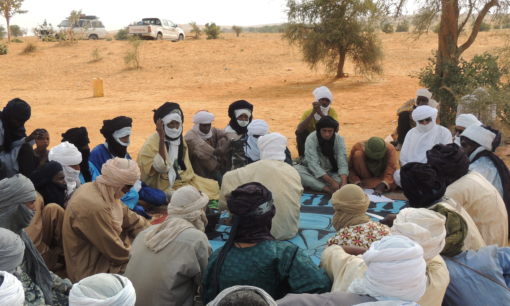 In Sabha, a region plagued by violent cycles of inter-communal violence since the revolution in 2011, the Hukama successfully mediated the Sabha peace agreement in April 2012, with HD’s support. HD remained engaged in Sabha through the 2013. In September, HD convened a roundtable discussion in Tripoli on the theme of “Promoting Stability and Consolidating Peace in Sabha,” during which participants decided to establish a Sabha Working Group to promote social cohesion and inclusiveness. When violence erupted again in Sabha in early January 2014, networks which HD had established were able to initiate and catalyse negotiations that resulted in a temporary ceasefire within days. In 2014 and 2015, as the conflict escalated, HD focused its efforts on efforts on resolving the political and military dimensions of the national-level conflict. This has involved bringing the perspectives of local powerbrokers into the national dialogue efforts to resolve the conflict. HD has also worked to improve humanitarian access to conflict zones within Libya. In December 2015, HD convened a roundtable on the humanitarian and security situation in Benghazi, and in March 2016, the organisation supported the conclusion of a Humanitarian Appeal for Benghazi which was signed by a large number of influential figures from the city. HD is also working to reach agreements on the governance of areas previously controlled by the so-called Islamic State. Days after IS’s defeat in Sirte, HD convened a dialogue between elected officials from the town to discuss what political conditions needed to be agreed upon for the town to rebuild. The 2015 UN-brokered Libyan Political Agreement (LPA) offered an opportunity to end the political chaos evident since 2014. At the start of 2016, HD was consequently working to engage with the social, political and security actors who opposed the LPA. However, as the LPA faced more obstacles (notably when the Libyan National Army under General Haftar captured oil terminals in the Gulf of Sirte), HD started to explore ways to calm the escalating conflict in Libya. This culminated in the launching of a national-level dialogue process which brings together the most influential Libyan actors to discuss reducing tensions and ensuring stability in Libya. In 2016-17, this national-level dialogue produced recommendations that pointed to a durable solution to Libya’s crisis. These recommendations focused on the importance of supporting local authorities such as municipalities, which were performing better than most national institutions in terms of providing services to citizens, and reinforcing key national institutions such as the electric company, water company and financial institutions. In 2017 the arrival of HD’s former Board Member, Ghassan Salamé, as Special Representative of the Secretary General in Libya improved HD’s relationship to the UN-led political dialogue process. Although HD maintains its strict independence from the UN as with all states and international organisation, it has a better ability to advise these actors in their own mediation efforts when required. In December 2017, HD brought together over 90 (out of around 108) heads of municipalities and local authorities from all parts of Libya to discuss the crisis in the country, and what they could do to ensure the needs of citizens were being met. The meeting was the first time since the revolution that such a diverse and comprehensive range of serving officials had come together. 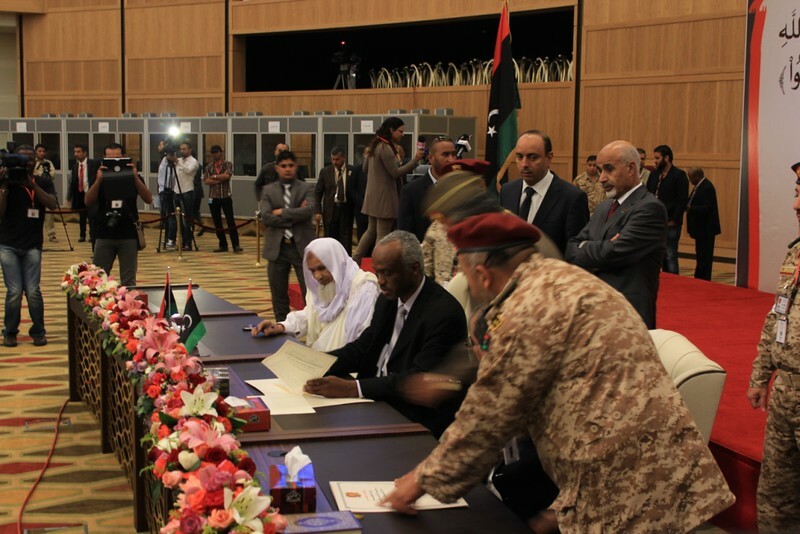 The municipalities and local authorities agreed upon a joint declaration calling for ‘unity, sovereignty and decentralization’ in Libya as a means to ‘end the conflict, and save the nation’. The declaration also underlined their determination to find a sustainable solution to the conflict and demanded to be included in all future efforts to resolve the crisis. In early 2018, the UN Special Representative of the Secretary-General to Libya, Dr Ghassan Salamé, formally requested HD to run the preparatory process of the National Conference, one of the key pillars of the UN Action Plan for Libya. From 5 April 2018 to 11 July 2018, HD implemented an extensive series of public consultations with Libyans from all segments of society, providing them with a unique opportunity to participate in the political debate over the future of their country. In total, more than 7’000 Libyans participated in the consultations either by taking part in one of the 77 town-hall meetings conducted in 43 locations throughout the country and abroad, or via an online platform. HD would like to thank the European Union for its generous support to this project since 2012. HD would also like to thank the Federal Department of Foreign Affairs of Switzerland and the German Federal Foreign Office for their ongoing support to this project. HD has also benefitted from the support of the Ministry of Foreign Affairs of Italy in 2016/17, the Ministry of Foreign Affairs of the Netherlands in 2011, and the Ministry of Foreign Affairs of Norway.